End user – Still can’t find what you are looking for or need help finding the right product? Please contact our office on 01473 760777 or email info@azpects.co.uk and we will do our best to help. 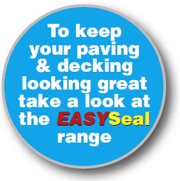 In the event that there is not a supplier located convenient to you, we have online stockists who can supply EASYJoint and other EASYRange products directly to you until a local stockist has been appointed. Price enquiries - The merchants control the price of our products so we can only provide you with a recommended retail price. Sorry we are unable to sell any of our products to you directly. By submitting this form you agree that you have read and understood our Terms & Privacy Statement.